Equal Justice America and The Dilley Pro-Bono Project have announced the creation of a two-year, $130,000 fellowship for a graduating or recently graduated Columbia Law Student. 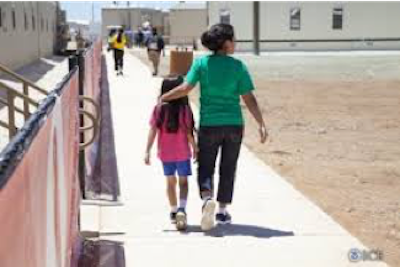 The Dilley Pro-Bono Project provides free legal services to asylum-seeking mothers and their children who are being detained in the South Texas Family Residential Center (STFRC), the largest detention center in the country. Under TRLA’s leadership and oversight, less than 1% of families have been deported since 2014. However, Attorney General Sessions’ narrowing of asylum eligibility for those fleeing domestic or gang-based violence has “completely overwhelmed TRLA’s ability to continue to provide the needed high-quality, expert limited-scope and full representation” necessary to defend clients who are currently facing indefinite detention. Learn more about how to apply for the EJA Dilley-Pro Bono Project Fellowship here . Donate to the fund for the EJA Dilley Pro Bono Project Fellowship here.